Los Angeles County Fire Department units doused a small grass fire reported at the intersection of Newhall Avenue and 9th Street in midtown Newhall Wednesday afternoon. Dubbed the Newhall Fire by officials, the blaze scorched an eighth of an acre behind the Newhall Terrace Apartment Complex. 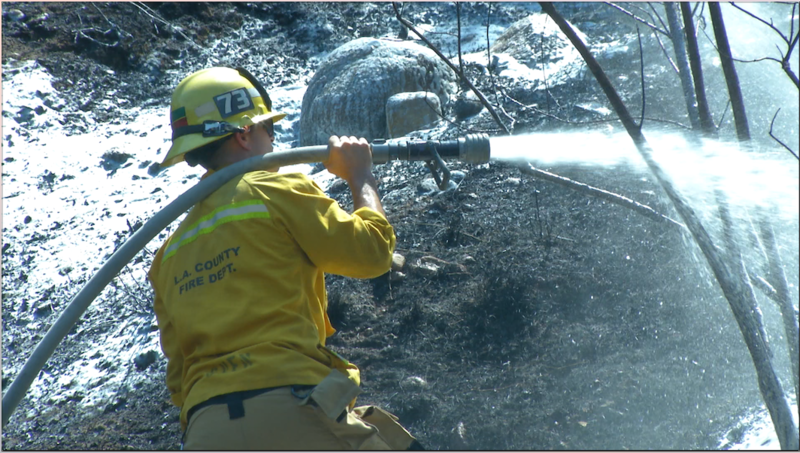 The fire was reported at around 2:12 pm and initial reports were that structures may have been in danger, as the fire burned up a small hill toward the backyards of a few homes.